This stunning whale necklace features an exquisitely sculpted breaching humpback whale as it rises out of an ocean of 35 glittering blue sapphires. A breach is a signature behaviour of the humpback whale, leaping out of the water in an impressive display of strength, power and sheer beauty. 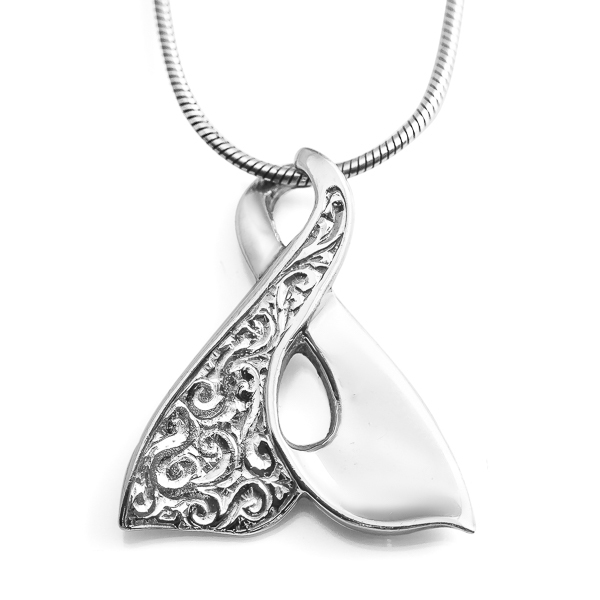 This pendant captures the magic of witnessing such a moment and turns it into a lasting keepsake you can treasure forever. 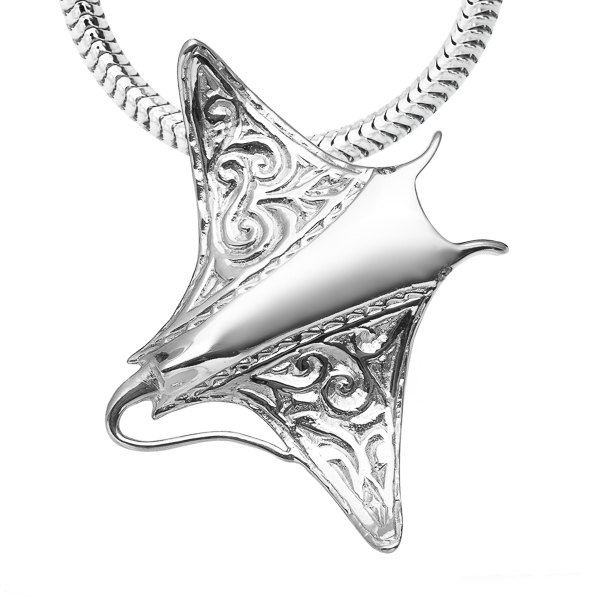 Pendant is available in sterling silver or 9 carat yellow gold (white gold, rose gold and other metals also available on request) and made with sustainably sourced Australian blue sapphires. Silver pendant comes adorned on a sterling silver snake chain necklace and gold pendant on a gold colored twisted silk cord. Signature World Treasure gift box and bag included. Free shipping worldwide on all orders.